A character in the Doonesbury comic strip once called the 1970s "A kidney stone of a decade," and compared to the 1960s and 1980s, it indeed was. It was a period of economic and political decline and, of course, abuses of power with Watergate being the worst but by no means only scandal. Decades get demythologized; it is a quintessential part of the Great American Meat Grinder, but nobody has bothered to demythologize the 1970s because there was nothing mythical about them. The decade opened with a cyclone killing a half million people in Bangladesh and the Beatles breaking up, at midpoint, the Vietnam War was sputtering to an end and New York City was teetering on the brink of bankruptcy, while its conclusion was marked by the Iran hostage crisis and introduction of the first Sony Walkman. The decade's three presidents -- Nixon, Ford and Carter -- were dirty or mediocre, and the state of the union was not good. 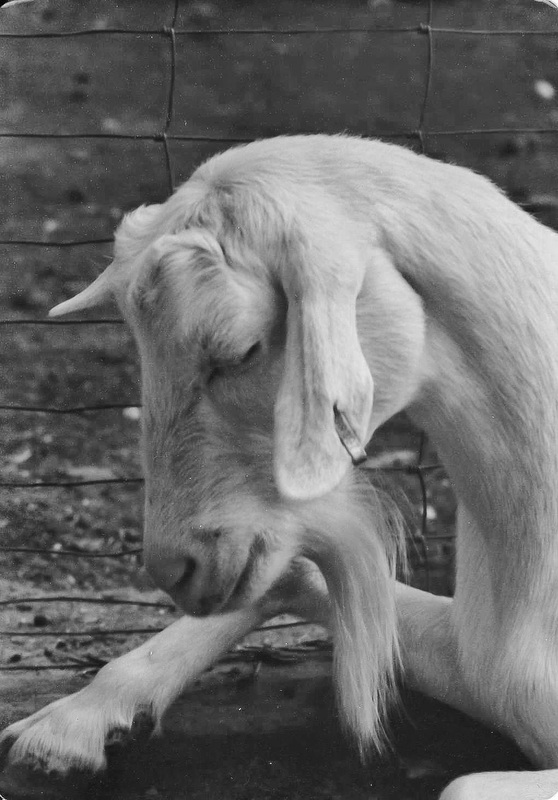 It also was a time of bad hair and bad music, but none of that mattered to the tribe who lived on a farm beyond Philadelphia's far western suburbs. At first glance, this farm would seem to have been one of the then-ubiquitous communes, but it most definitely was not. There's A House In The Land (Where a Band Can Take a Stand) is the compelling, funny and sometimes heartbreaking story of that tribe and that farm. It is fact lightly disguised as fiction in that the places, events and people are real, but the names of some places and people have been changed to protect the innocent. As well as the guilty. 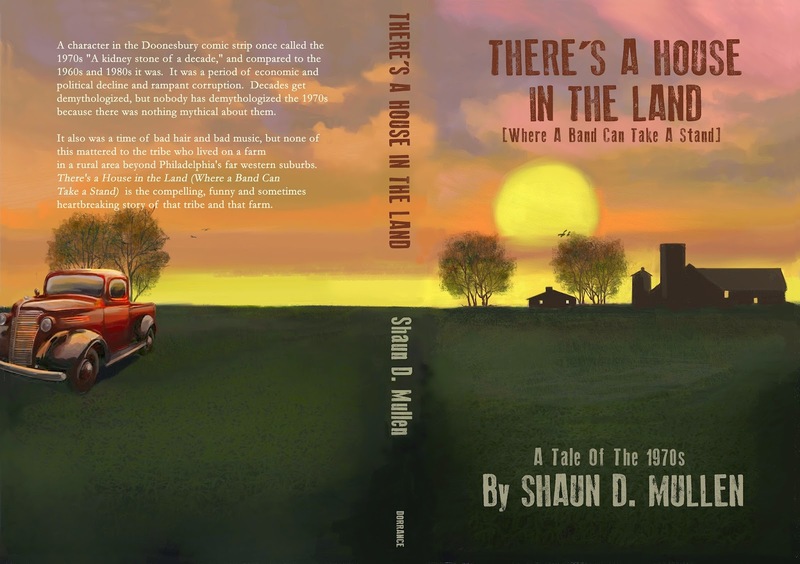 Click here to order the trade paperback or Kindle editions of There's A House In The Land. 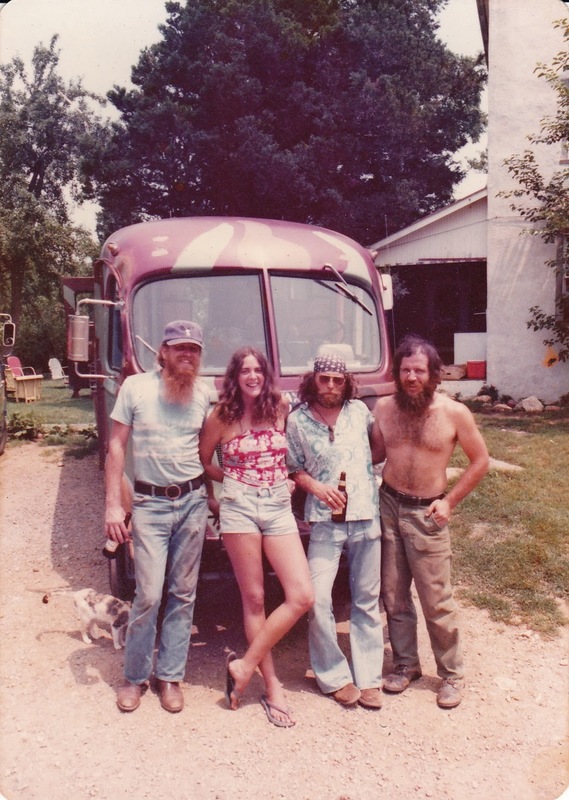 Headline lyrics from "Stairway to Heaven"
The first time I went out to Kiln Farm, bumping along in an aluminum beach chair anchored to the floor in the back of Eldon's Chevy Step Van, it seemed like it took forever although the farm was only 10 miles from New Park. other establishments where students could hoist a pint before returning to the comfy confines of a picture book campus with ivy-covered buildings. The Poe story is apocryphal because the tavern didn't exist when the poet-storyteller gave the lecture, but that hadn't prevented the management from plastering raven images on beer mugs and T-shirts. Today that quaintness is long gone. There are several decent restaurants, the tavern is still raven-centric, but has been cleansed of its rusticated piss and beer charm. About the curse, I don't know. After a night of drinking, students now return to a campus that has grown up to become a world-class university known for far more than its football team. As for the farm, all but the farmhouse was razed years ago. 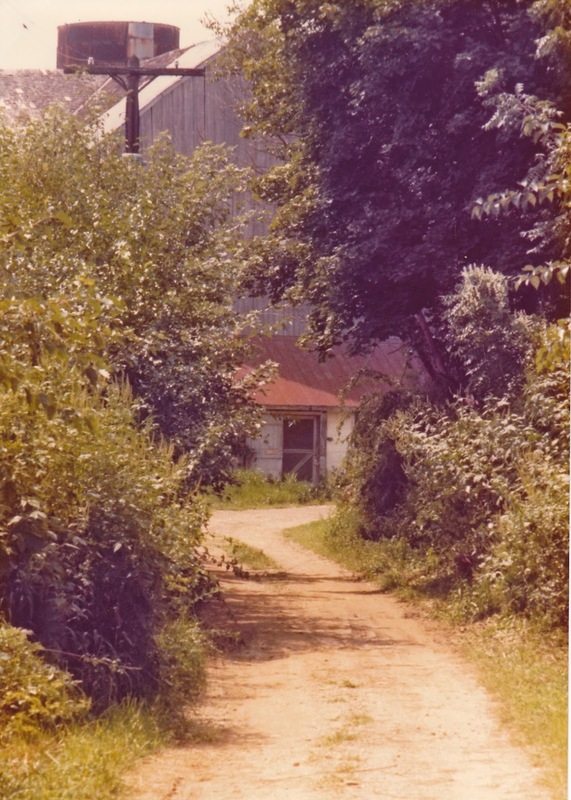 The garden, apiary, barn, milk house, chicken coop, black walnut tree that little Caitlin swung under, and the fields that seemed to go on forever, were bulldozed and replaced by cookie cutter townhouses in a development insultingly called Kiln Farms. Eldon turned off the state road onto a driveway flanked by row after row of field corn and began the bumpy ascent to a place that would be my home for the next 10 years. My initial impression was a cosmic wow! For the first time since I had returned from Nam, I finally felt like I was home. It just wasn't the kind of home I had expected when a past and future resident of the farm, whom I had met in Saigon shortly before we caught Freedom Birds home, invited me to hang out until I got my bearings. The upper story of the farmhouse came into view as we began to crest the last hill and broke free of the cornfields. Windows blazing brilliant orange with the reflection of the late afternoon sun framed by white stucco walls and topped by a faded red tin roof created the appearance of a gigantic grinning jack o' lantern. Appropriate, because it was Halloween. There was music playing. Very loud music. I recognized it as King Crimson's "In the Court of the Crimson King." The music was blaring from large Pioneer speakers on a porch flanked by two guys guarding a half keg of beer in a wash tub filled with chunks of ice. Both could have been mistaken for guitar god Duane Allman with their tall and lean builds, bushy moustaches and long hair, while an Irish setter, whom I imagined had to be deaf from the volume of the music, slept on the steps between the porch and front lawn, where a hotly contested game of horseshoes was being played. The guy sitting on one side of the keg was resplendent in a sparkling red lamé jumpsuit, MARS emblazoned in big letters on the back. His head and arms were painted a matching red, as well. The guy on the other side was wearing a similar only blue lamé jumpsuit with VENUS across the back, his head and arms painted blue. Trick or treating had obviously started early for these two planets . . .